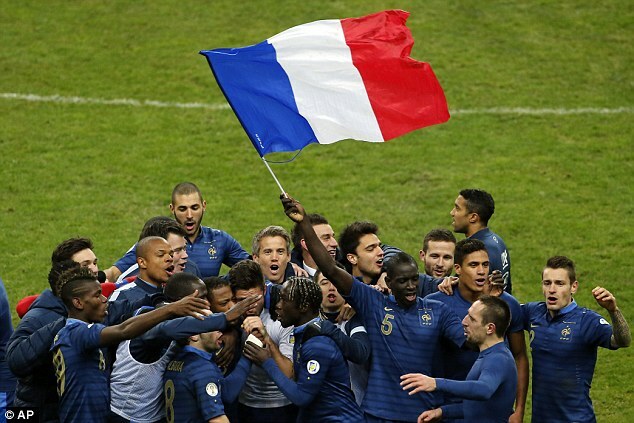 France set for heroes’ welcome after thrilling World Cup win – Royal Times of Nigeria. 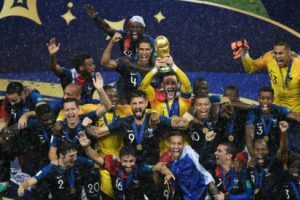 Victorious France were set to return to a heroes’ welcome on Monday after winning the World Cup for the second time with a rollercoaster 4-2 victory over Croatia which set off chaotic celebrations at home. Teenager Kylian Mbappe applied the coup de grace in Moscow as France, aided by an own goal and the video assistant referee, overcame determined opponents in one of the most compelling finals of the modern era. Mbappe, just 19, scored France’s sizzling fourth goal and was voted the best young player of a tournament in which he has shown he is a superstar in the making. The triumph also put Didier Deschamps, who captained the national side to victory on home soil in 1998, alongside Mario Zagallo and Franz Beckenbauer as only the third man to win the World Cup both as a player and coach. French President Emmanuel Macron, who cheered every goal in Moscow’s Luzhniki Stadium, was drenched by torrential rain during the trophy presentation and attempted to “dab” with the players in the changing room. On Monday, Macron will welcome the team back to Paris and the players will make a bus parade up the Champs-Elysees avenue from 1500 GMT, where they are expected to be feted by hundreds of thousands of people. “MERCI” Macron wrote in a one-word tweet after the match which saw him celebrating wildly in the stands and visiting the players in the changing rooms.